Thanks for visiting our blog! When you're finished here, why not visit our main site for Activity Holidays and Adventure Tours in Ireland? ← Discover Ireland in 2011 – There’s No Better Time! For those of us who hate the long dark nights of winter, you might be curious to know that in Ireland we celebrate the longest of them all – the Winter Solstice! In Ireland, there’s no better place to celebrate this ancient festival than at the 5,000 year old Newgrange Passage Tomb at the UNESCO World Heritage Site of Brú Na Boinne (Palace of the Boyne). At dawn, on the shortest day of the year, people will gather in celebration of the solar New Year at this most mysterious, majestic and awe-inspiring monument. Civilisations have come and gone leaving iconic landmarks from the Mayan and Aztec Temples of South America to the Pyramids of Giza in Egypt, but all of these were built long after the ancient necropolis of passage tombs in Ireland’s Boyne Valley. 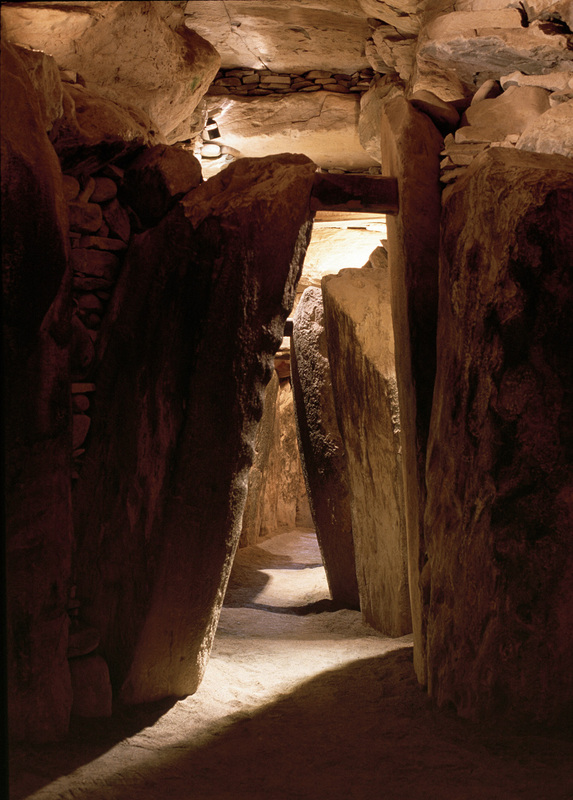 On winter’s shortest day, the sun will rise over the nearby hills and beam its golden light in perfect alignment along the 5,000 year old ancient passage way to the ceremonial chamber deep within the tomb. This occurrence lasts only 17-minutes before the light retracts, plunging the tomb back into darkness until the dawning of the next winter solstice. This festival marks the turning point of the astronomical year where in modern times, as it was in Irelands ancient past; it’s a time to celebrate the end of shortening days of winter and the beginning of the long summer nights to come! But Brú Na Boinne is an extraordinary place to visit at any time of the year. More than a thousand years older than Stonehenge, the vast necropolis boasts the three principle monuments of Newgrange, Knowth and Dowth amongst a collection of some 40 smaller tombs. One of the most extraordinary sites in Ireland with arguably the finest collection of stone-age art in Western Europe, it’s not to be missed on any holiday to Ireland. This entry was posted in What's Hot and tagged Activity Holidays in Ireland, Adventure Tours Ireland, Bru na Boinne, Cultural Adventure Tours Ireland, Newgrange Cultural Tours, Walking Tours of Ireland. Bookmark the permalink. Explore Ireland Tours offers a unique touring concept to experience the ‘Real Ireland’. We combine an imaginative mixture of activities such as leisurely walks, bike rides, kayaking and horse-riding with cultural discoveries to some of Irelands best known sites and many of our hidden gems! Committed to responsible tourism, we offer small-group tours which engage us with indigenous communities where we discover the unspoilt landscape, culture and traditions of the remoter parts of Ireland, and not only have a great time - but get a truly authentic experience of traditional Ireland. Keep up to date on all things Explore, by becoming a fan of our Facebook page or follow us on Twitter. As part of our travel community, you can get advice and learn about our tours, receive special offers, enter competitions, read the latest news and share photos with your fellow travellers.